There's so much to learn and experience on OUR River, and John Ruskey, Mike Clark, Mighty Quapaws, and Kipp students have headed out to do just that as they circumnavigate Big Island by canoe! 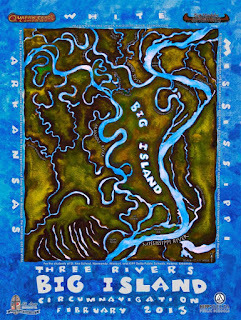 Big Island is defined by the three biggest and most important rivers in the deep south - the Mississippi, the Arkansas, and the White. Heading out from Rosedale, MS by canoe, the explorers will paddle down the Mississippi to the AR River confluence and set up a base camp for several days of natural science research and documentation in this area, full of bear, wild board, and birds. 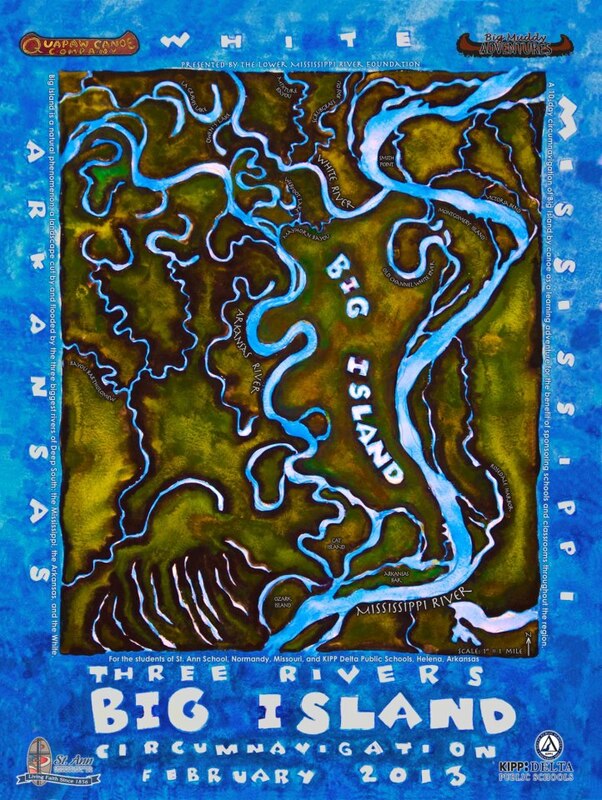 In the next phase, the team will paddle up the AR River for 43 miles through a difficult meandering section where at times the boats will need to be pulled by rope. Base camp 2 will be in Big Island's deep woods, and part of the research and documentaion will be to find signs of the reclusive LA Black Bear, and a bird and amphibian count. The next challenge - to find a suitable back channel oxbow lake or wetland to cross to reach the White River, and once found, to portage the canoes across. Then paddling downstream, the explorers will travel 20 miles through a remote area of the White River National Wildlife Refuge and set up a third base camp. From it, the paddlers will explore the remote bayous around which are found the giant Bald Cypress, bears, raccoons, prothontary warblers and bald eagles. To enter the MS from the White, the team will pass through a lock and dam. Then they begin the final 25-mile leg down the Mighty Mississippi. Along the way they will visit a steamboat wreck, the Victor, and an old channel of the White behind Montgomery Island. Follow along. For a daily update, data, and more on the mission, route, and team, click HERE. 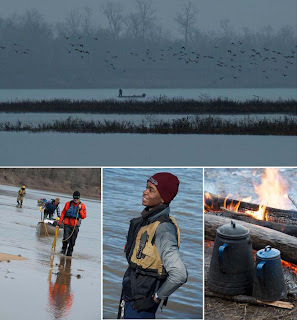 To support this and other fantastic learning adventures, give to the Lower Mississippi River Foundation.